This week’s photo challenge is about capturing the horizon – where the earth meets the sky. 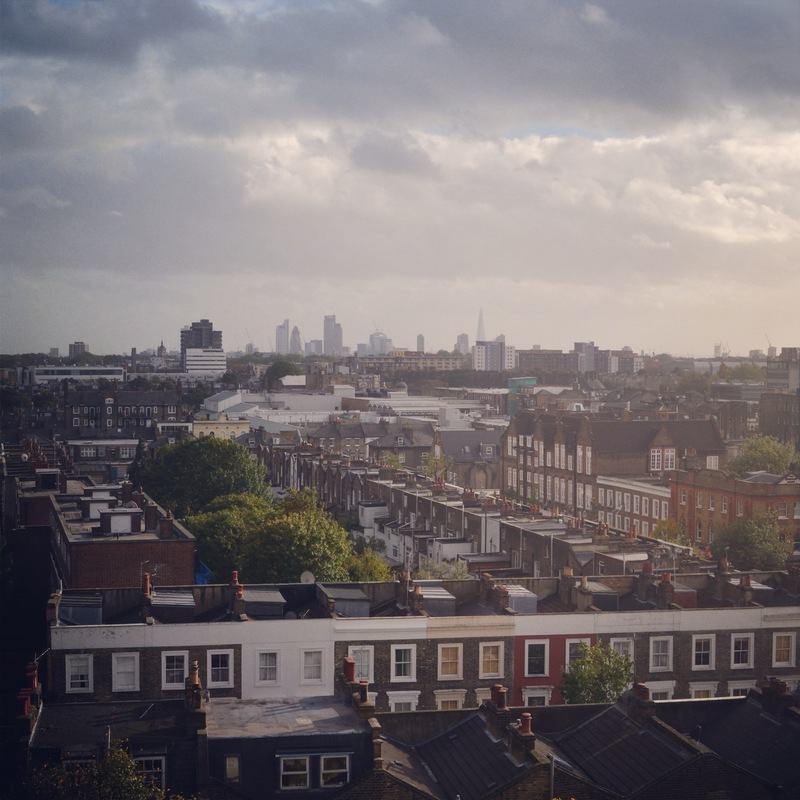 This view (from the rooftop of my building) is one of my very favorites, because it encapsulates two quintessential images of the city: blocks of Victorian conversions, where North Londoners eat, sleep and play in close quarters, and the London City skyline, where global commerce thrives and international deals are made or broken. The Shard, the Gherkin and the new Walkie-Talkie building seem a stone’s throw away, so it’s funny to think that a couple hundred years ago my neighborhood would have been considered the countryside – a fresh air haven away from the industrial hustle and bustle of London. It would hardly be described as that today; as a matter of fact, students nearby recently tested the air quality of their schoolyard and found that pollution levels were twice those allowed by the European Union (!!) This has prompted a couple of Air Quality Summits, so we’ll see what comes out of them. Nevertheless, up on the roof it’s hard to feel too stifled, as you gaze at the skyline and beyond. This entry was posted in Uncategorized and tagged Holloway Road, horizon, London, postaday, Weekly Photo Challenge on October 27, 2013 by CatherineTs. Really good! I can’t wait til I can see this horizon in person….hopefully next summer! Love the views from North London. Love those building names: Gherkin , Shard, Walkie-Talkie! That’s funny, I’ll have to look that one up. While i do admire the artistic expression in architecture, sometimes it seems as though it might be OK to fit in with the surrounding area instead of standing out so much.